Industrial solar water heaters are very cost effective and can give a very short pay-back period. 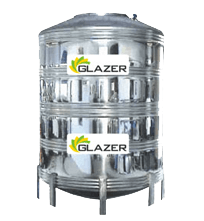 At glazer, industrial solar water heaters are manufactured according to the exact requirement of an industry where it is required. In accordance to the industry Glazer uses the latest technology that could be used in the solar water heater equipments provided.